Saudi Aramco has highlighted the investment opportunities offered by the advent of the 4th Industrial Revolution and the role of small and medium enterprises (SMEs). Officials from the company were taking part in the Eastern Province Chamber of Commerce symposium on the “4th Industrial Revolution and IKTVA support”, held yesterday (May 13). The event, which was attended by investors and industrialists as well as representatives from the public and private sectors, was opened by Abdulhakeem Al Khalidi, EP Chamber president who welcomed Saudi Aramco participation, praising its support for such gatherings which provide an impetus for the economic and investment climate in the Eastern Province, it said. 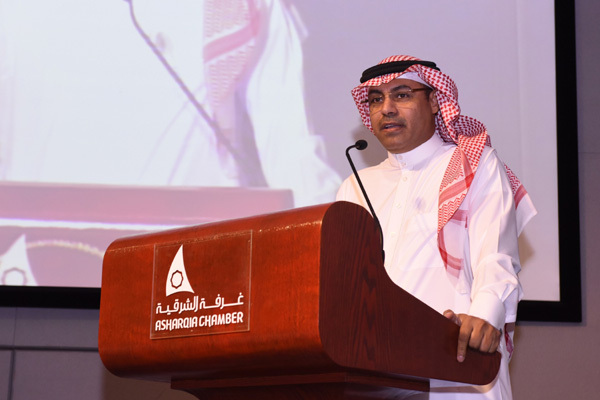 Saudi Aramco's manager for industrial development and strategic supply, Abdullah Al Thaali, thanked the EP Chamber of Commerce for providing a platform for the private sector and investors to learn about the 4th Industrial Revolution and the investment opportunities in this area. Al Thaali explained that Saudi Aramco's localisation initiative IKTVA has acted as an incubator for localisation investments, especially for small and medium enterprises. He said that since it was launched, iktva has achieved an average of 45 per cent localisation success rate, with local purchases of good reaching 50 per cent in 2017, a record in the company's history. The event agenda included a presentation and round-table discussion on Saudi Aramco's iktva programme and its role in support of the national economy through the localisation and value addition of the local industry and technology sectors, as well as an explanation of the procedures for registration in the IKTVA programme, it added.